The start of a new season can be a little overwhelming with every person in the fashion industry heralding every new trend the 'must-have' one (I know I'm guilty of this). 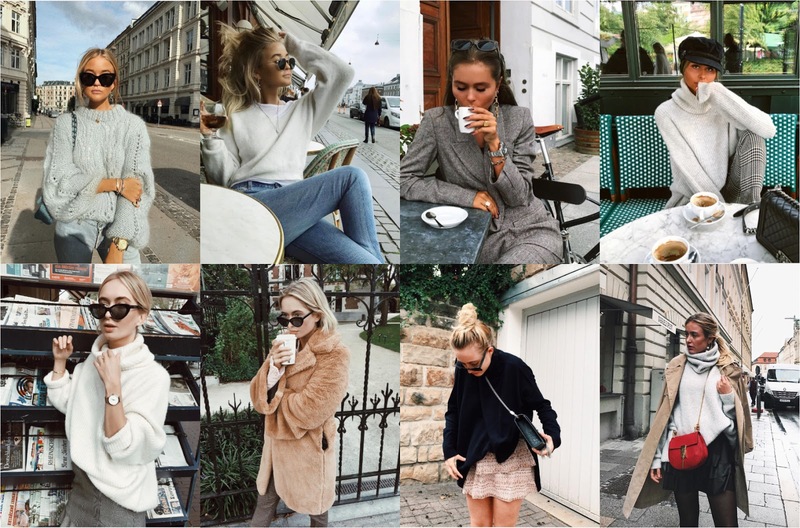 But in all the chaos your style-street-filled Instagram feed can be your saviour, cutting through the noise and providing endless inspiration. 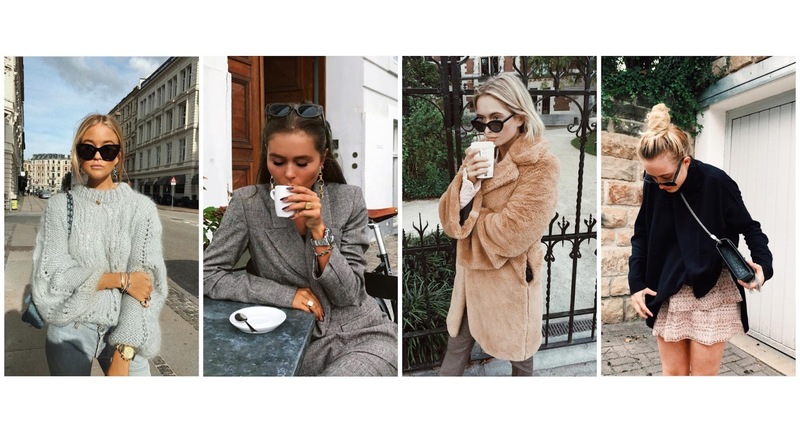 As we go into autumn/winter these four Instagrammers can be your guiding light, combining dreamy knitwear, sharp tailoring, attention-grabbing accessories and super-cosy outerwear to help you build the perfect wardrobe for these upcoming months. Staple Pieces: Bleached Denim, Oversized Knitwear, Chanel Boy Bag, Silky Camis and Danity Jewellery. Favourite Brands: Ganni, Nelly, Gucci, Dior and Chanel. 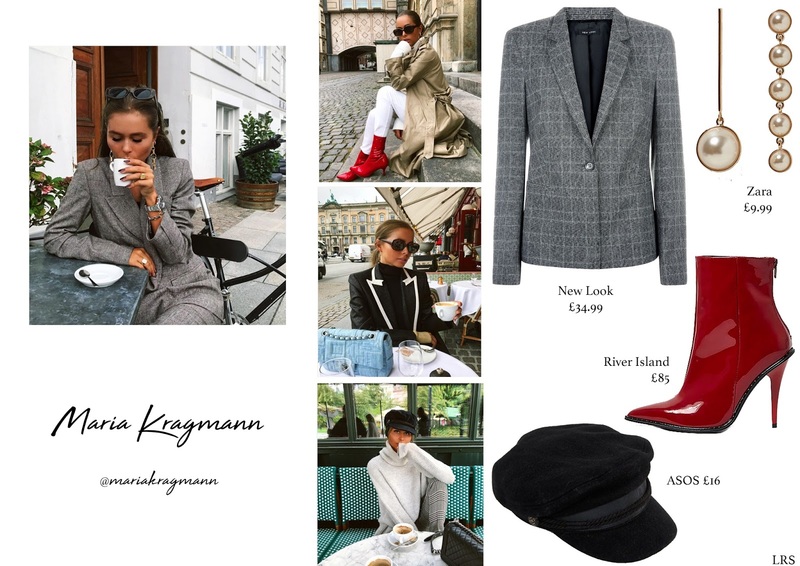 Staple Pieces: Tailored Blazer, Oversized Earrings, Statement Footwear, Trench Coat and Baker Boy Hat. Favourite Brands: Motel Rocks, Nakd Fashion, Topshop, Dolce & Gabanna and Dior. 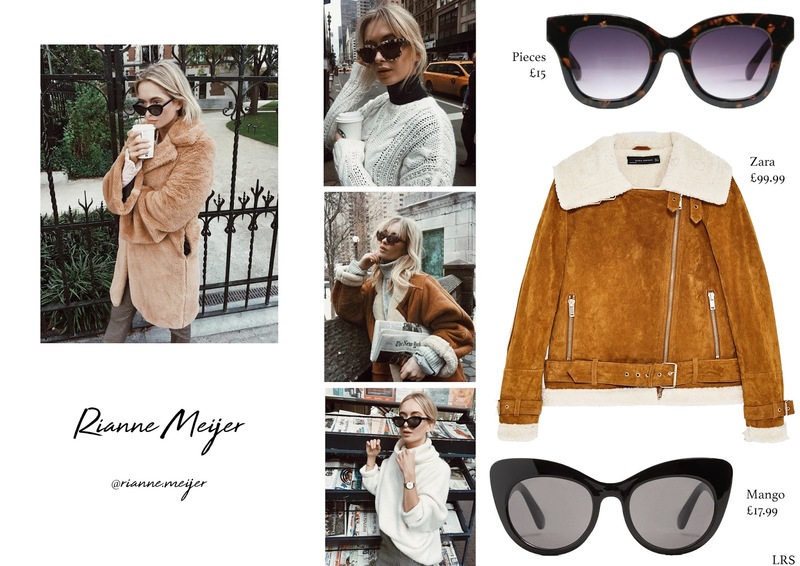 Staple Pieces: All-Year-Round Sunglasses, Teddy Coat, Turtle-Neck Jumpers, Shearling Jackets and Berets. Favourite Brands: Zara, Urban Outfitters, Mango, Cluse and Revolve. 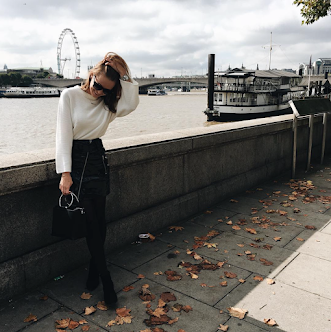 Staple Pieces: Slouchy Knitwear, Mini Skirts, Designer Shoulder Bag, Dolly Shoes and White Shirts. Favourite Brands: H&M, Zara, Chloe, Prada and YSL. I also enjoy reading the https://awriter.org/essaysharkcom/ comments, but notice that a lot of people should stay on topic to try and add value to the original blog post. I would also encourage everyone to bookmark this page to your favorite service to help spread the word. I'll use this information for my essay topics.